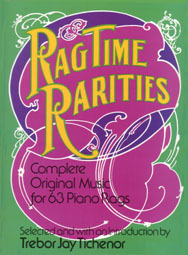 Sheet Music reprints of first or early editions of 63 piano rags from 1897 to 1917. Most of these works are relatively unknown, but are a joy for listening and playing. All are piano rags and do not have lyrics.